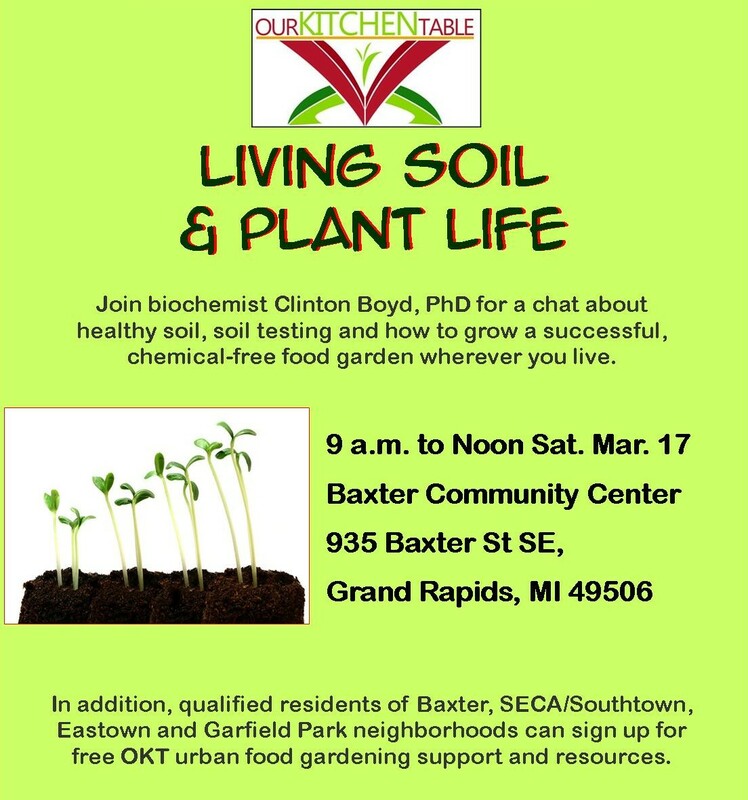 This Saturday, Our Kitchen Table hosts the garden education workshop “Living Soil & Plant Life.” Join biochemist Clinton Boyd, PhD for an enlightening chat about healthy soil, soil testing and how to grow a successful, chemical-free food garden wherever you live. Do you live in the Eastown, SECA/Southtown, Baxter or Garfield Park neighborhood? OKT is looking for more folks to join our yard-gardeners program. OKT yard gardeners are provided valuable gardening resources including organic starter food plants, compost, containers for container gardening, garden tools and a garden coach. Working with neighborhood folks to grow food in their yards or on their porches and patios is one way to bring more healthy food into our urban communities. For information on signing up to be an OKT food gardener, email OKTable1@gmail.com or call 616-570-0812.